This has been the most amazing kickstarter project that I have been involved with. 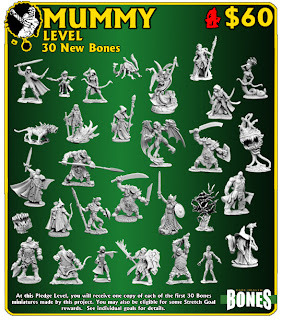 I think the Reaper crew has really out done themselves and I'm hoping that the ultimate goal of bringing the production of the BONES line to TX from China will be realized. In the space of the 34 days of this kickstarter they have kept their audience glued to their screens watching the goals get reach one by one. 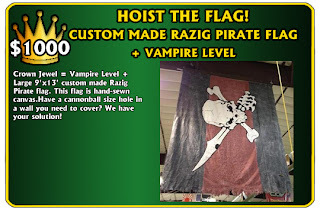 My friend Talon (you can see a couple pieces of his work on my front page) posted this version of what some 12,000 people have been doing over that last few days. 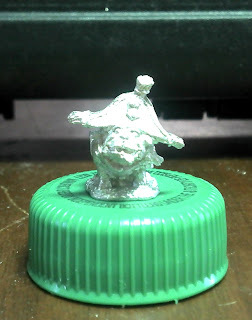 And today is it. 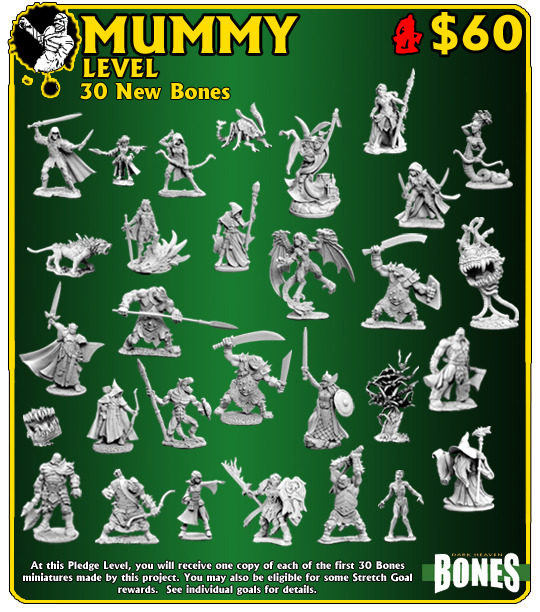 At 4pm MDT (yes, that odd mountain timezone) they will close the books on this one and I fully expect them to clear the $3,000,000 dollar mark for this kickstarter.This will result in the production of at least 3,450,000 (and that's a conservative estimate) plastic BONES miniatures that will be shipped out next spring. 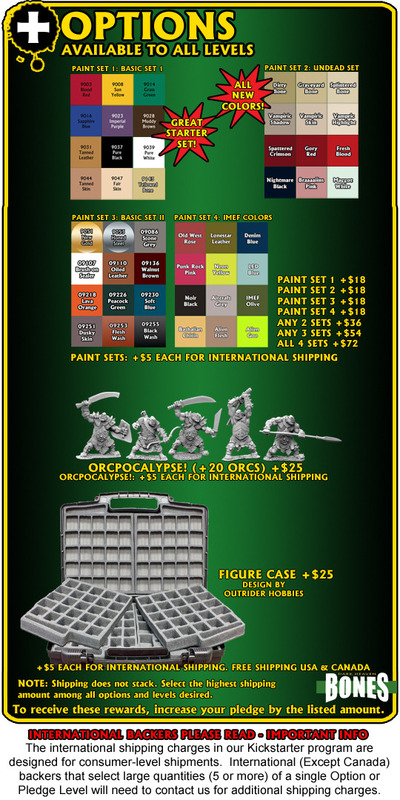 And here are the Add On Options you can purchase along with the ability to buy extra sets. 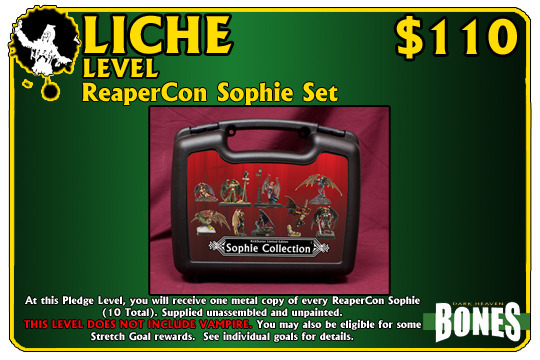 They are also going to give folks the option to trade in the metal Sophie for $25 of additional options and extras (not for shipping though). 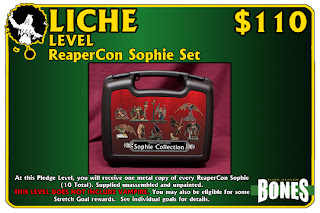 I'm not sure why anybody would trade in Sophie but apparently a lot of people are planning on it. 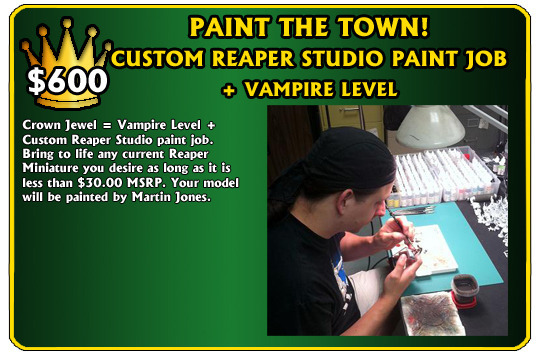 Oh and let's not forget not all options can purchase this bunch of stuff you have to be at the vampire or undertaker levels to do this. 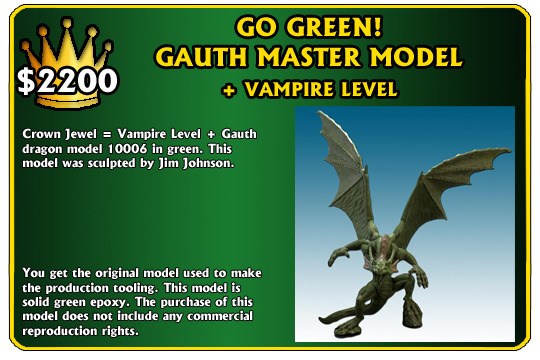 However, there is another range of options that anyone can purchase. 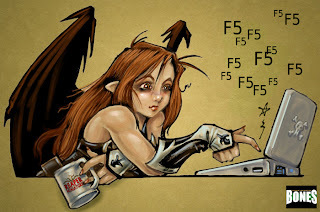 So just keep scrolling down to see those. 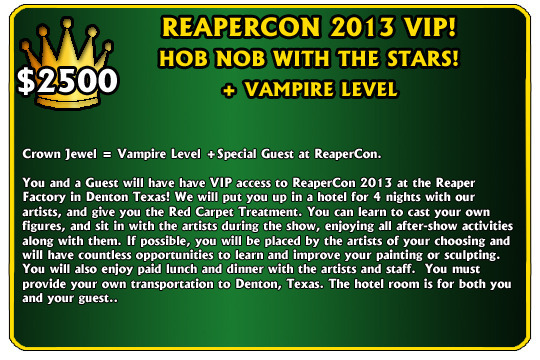 Reaper is having and end of Kickstarter party at their facility in Denton Tx today, if you are in the area I think it would be a great place to spend a Saturday afternoon. Sunday Painting - Lysette - With Clothes! Well, I didn't add clothes to her but I did get quite a bit down on the clothes she is wearing. 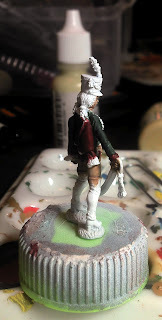 I have been painting her up wearing the uniform of the 4th Hussars which wore a green dolman and a red pelisse with black fur trim on the pelisse. I'll probably paint up a couple more in my favorite different French hussar uniforms. 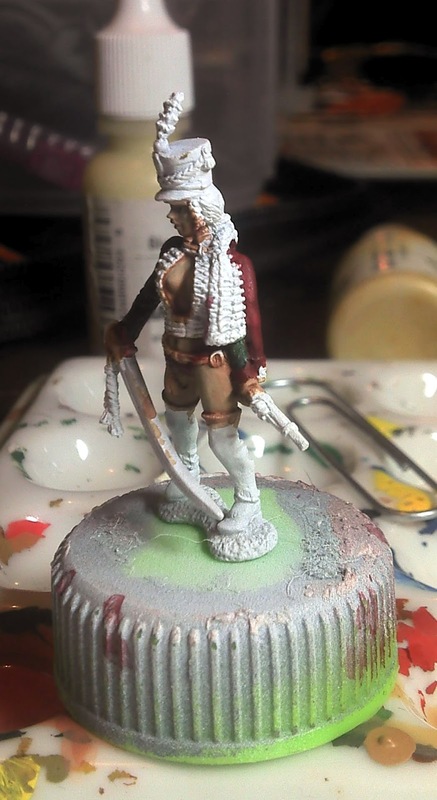 Right now I'm just trying to concentrate on getting her finished and ready for the convention. 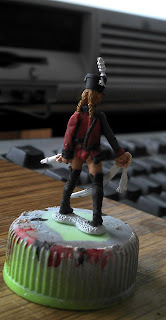 I also have one other entry that I need to finish up for Tacticon as well. 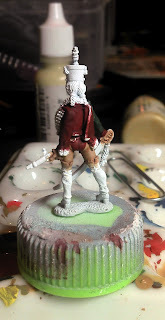 Here are the final results of Sunday Painting. 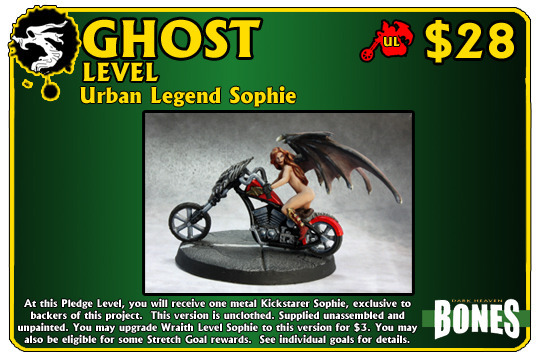 We keep unlocking goal after goal and revealing cool stuff everytime. 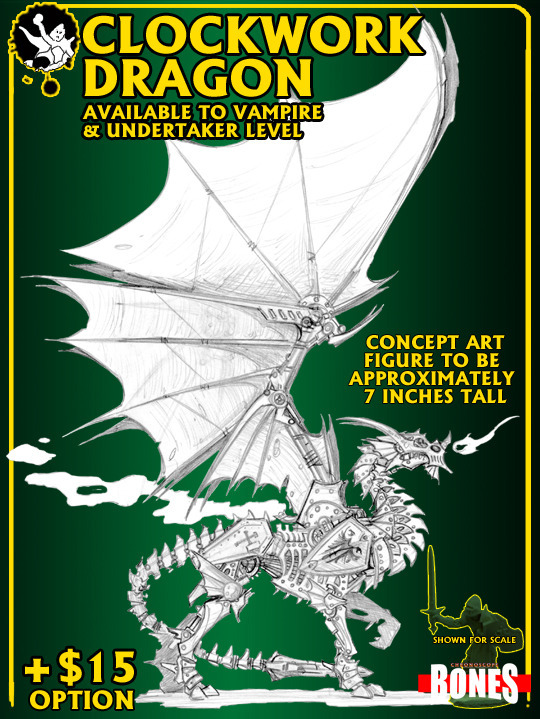 So I figured, as a now drooling fan boy, that I would keep everybody updated on this little Kickstarter Project from Reaper. 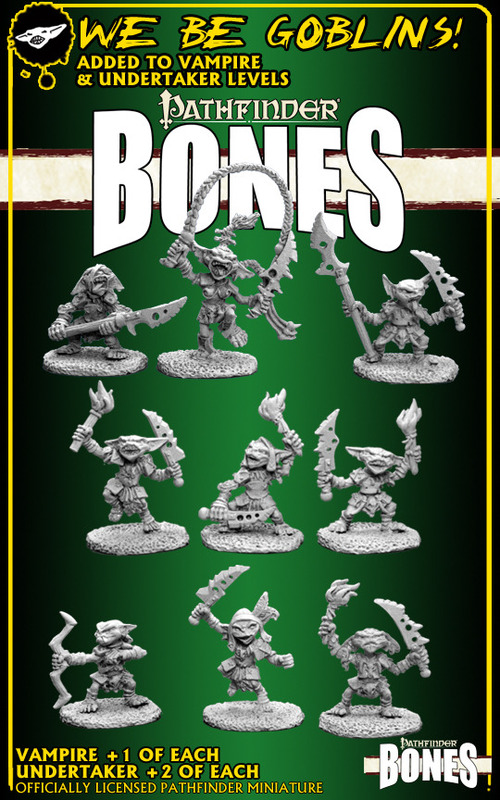 You can find the kickstarter itself here: Bones An Evolution - Just go now and pledge, just get hat but let's make this successful and get production of Bones moved to the US. 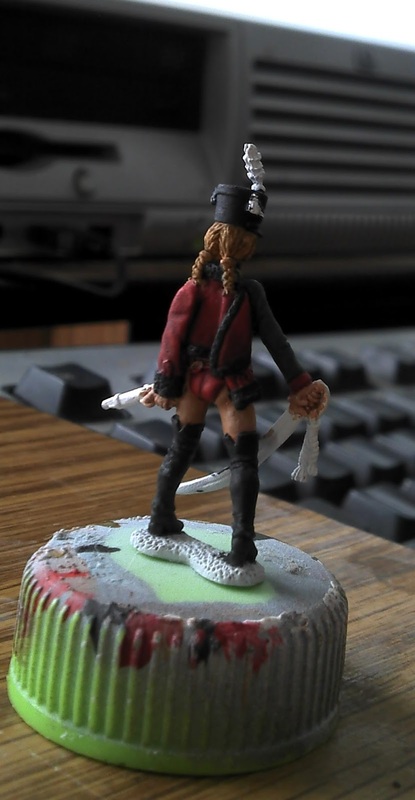 I finally had some time to work on Lysette yesterday. 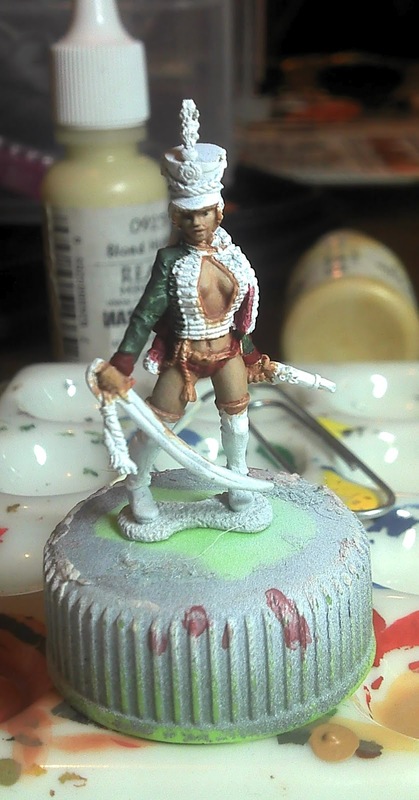 Her skin is pretty close to being finished and I have blocked out the colors for the Dolman and the Pelisse. 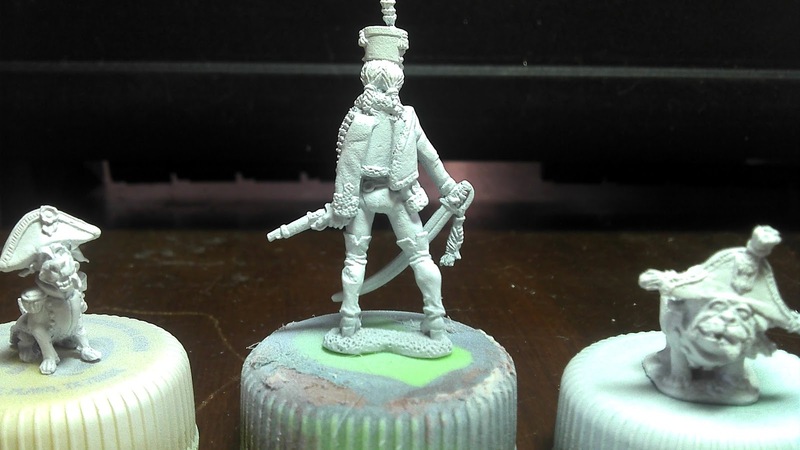 She's starting to look pretty good. Hopefully I'll be able to get another painting session in today. I need to pull out some of my Perry Napoleonics so you can see how well she matches up with them. 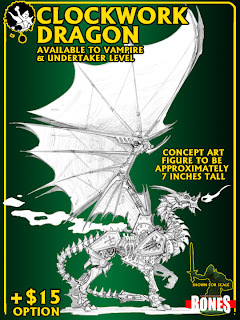 But what's really exciting is the goal that will come after we get the Clockwork Dragon. 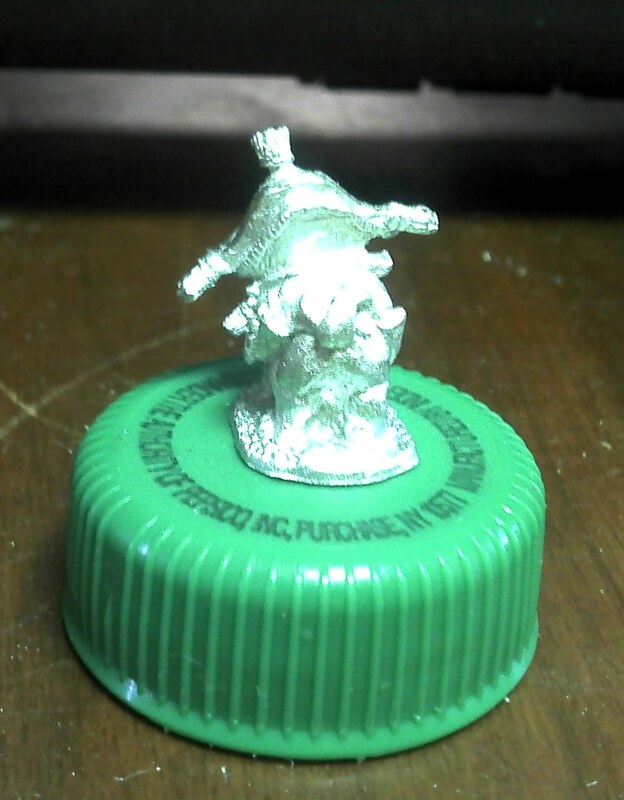 Pathfinder Goblins! 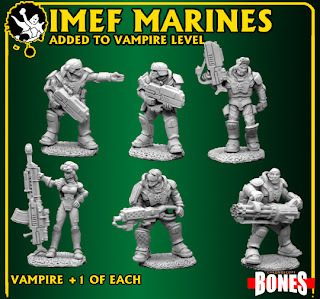 I love these guys and I honestly didn't think they would make it into plastic because its a licensed line and I figured it was to risky a move. I'm really excited now. 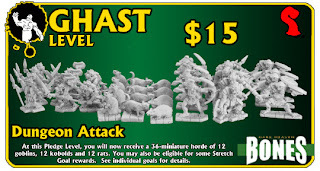 Yea, yea, so I'm go to gush fan boy all over you guys this morning. 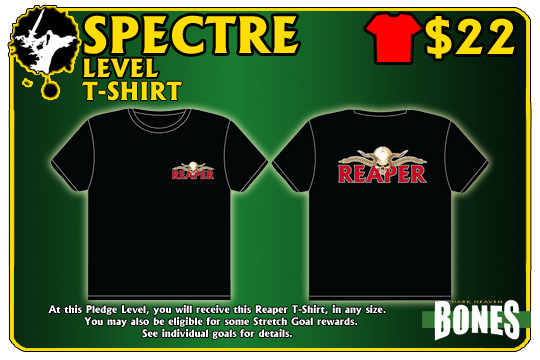 I figured I would show you the different ways that you can participate in the Reaper Kickstarter. So I swiped all their graphics to embed right here so you could quickly and easily figure out exactly what you want to spend your initial pledge money on. After that its all about the optionals. Please note that the Vampire and Undertaker levels will change as more and more stretch goals are released, so literally these are going to be wrong (but in a good way) by the end of today. 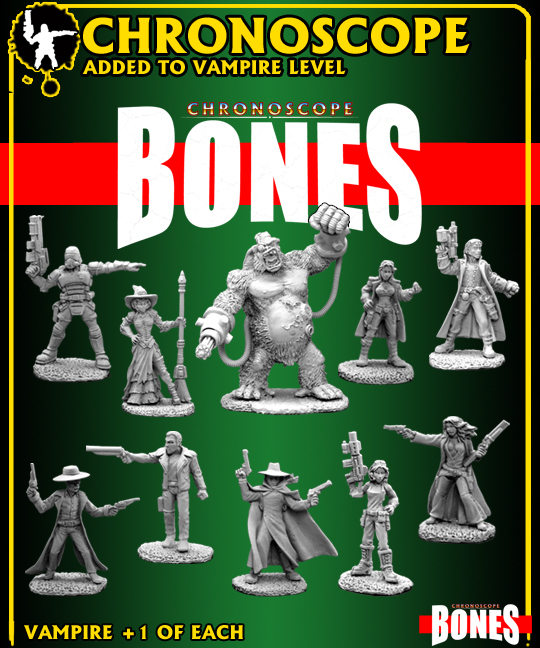 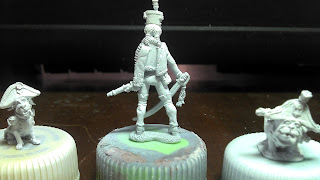 Reaper Miniatures Bones Kickstarter - Chronoscope Minis Added! 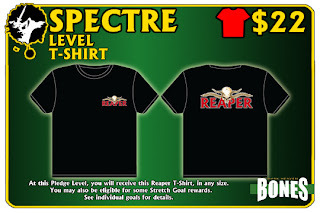 I hate to look like a fan boy but I'm pretty darn excited about this kickstarter project from Reaper, so fan boy it is. 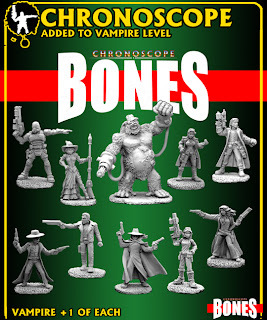 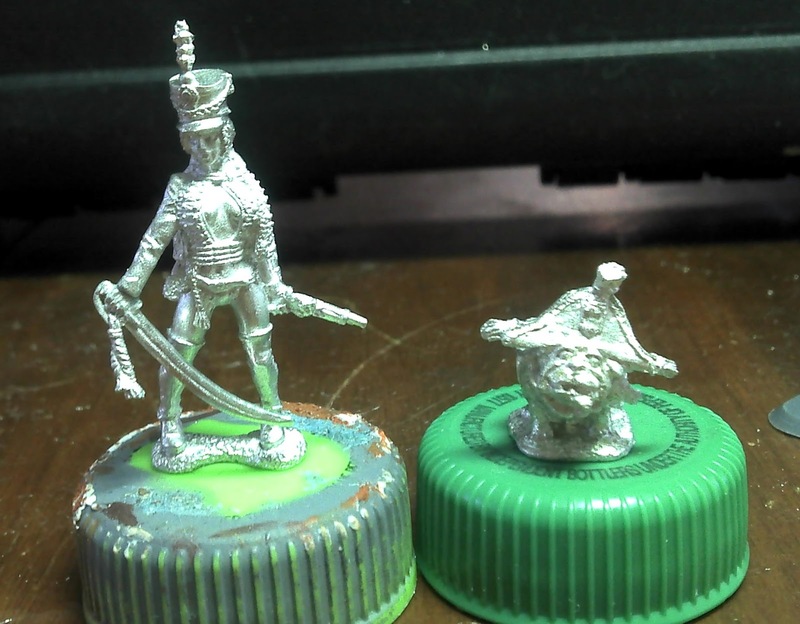 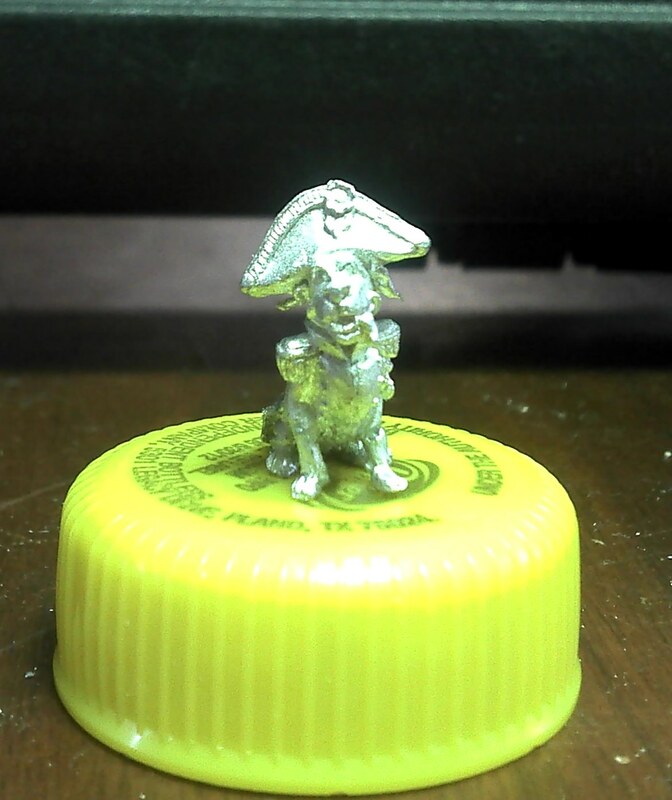 The stretch goal that they have been moving towards adds a bunch of the miniatures from their Chronoscope metal line to the new plastic Bones line. By the time I publish this to my page I'm sure they will have hit the magic number and these will all be part of the vampire pledge level. From Sci/Fi Marines to Cowboys this adds something to everyone. 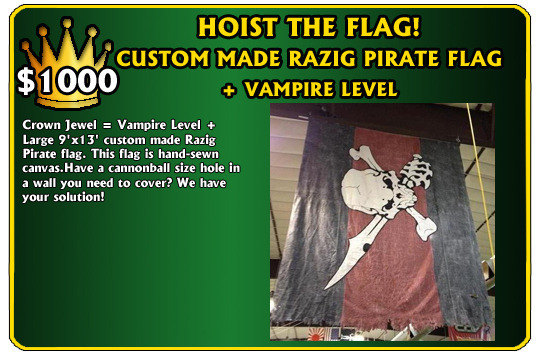 I have grabbed their graphic for this goal just to show off what they are including. 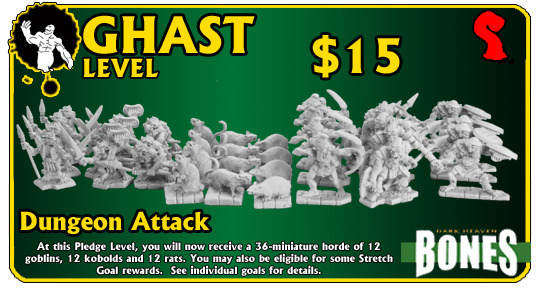 And what's in the next stretch goal? More Marines! 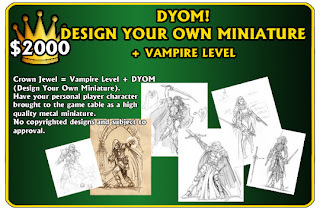 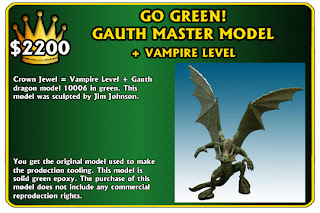 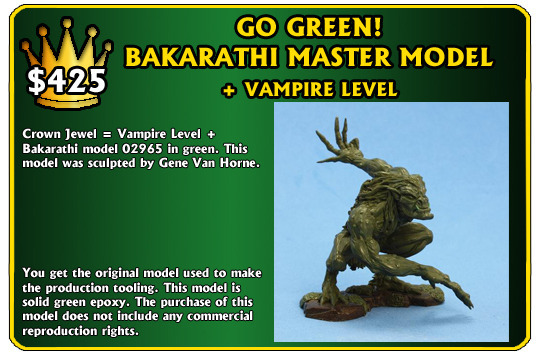 So 10 more minis from the first chronoscope, 6 more from the next (plus you can buy extra Marine sets if you want to), this will take the cost of the miniatures in the Vampire level down to like feels like nothing at this point. I did manage to get a real live metal casting of Lysette on Saturday. 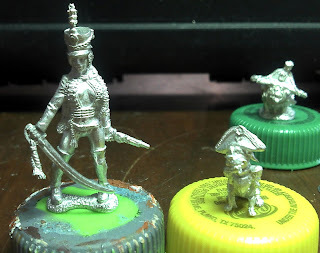 I have cleaned her up and given her and the two Louis XIXs a coat of white primer. 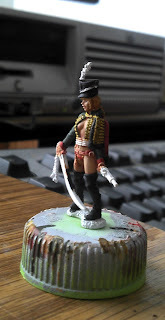 I hope to start work on her this week but I haven't decided which French Hussar uniform I want to paint with this first one. Its just nice to finally have this miniature in my hands. 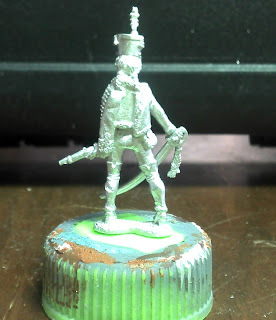 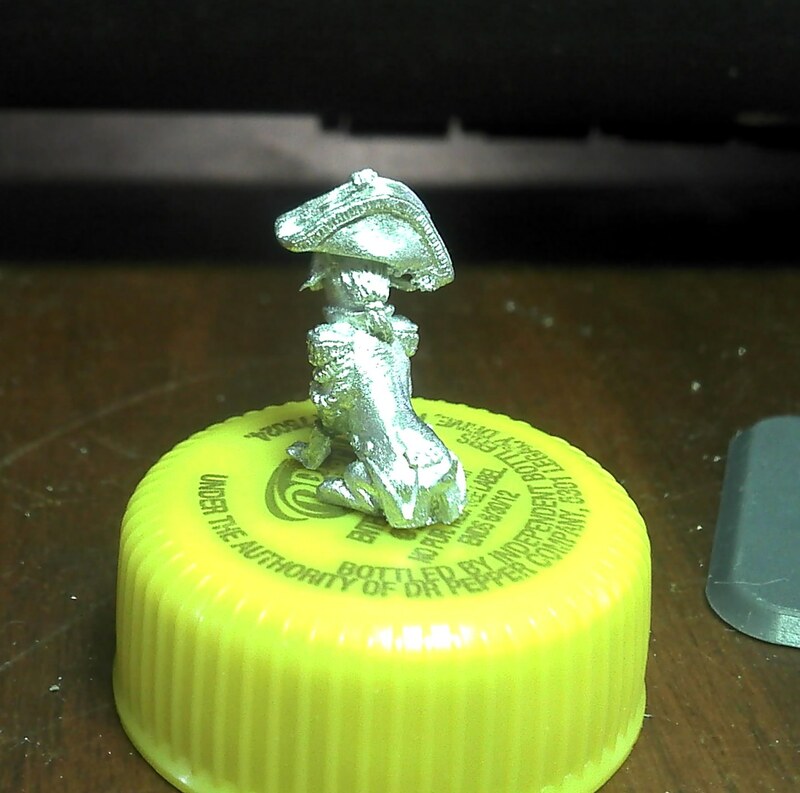 First up Louis XIX.5 - sculpted by Jason Wiebe. He is a solid little lump of metal. And then Lysette (with sword arm attached but minus the sabretache). On the left is the spure with the sword arm and sabretache. On the right is a sabretache ready to be attached. 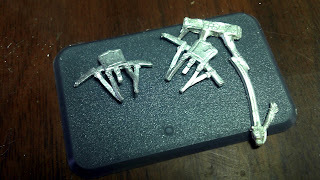 The straps do need to be bent to fit into the right position. 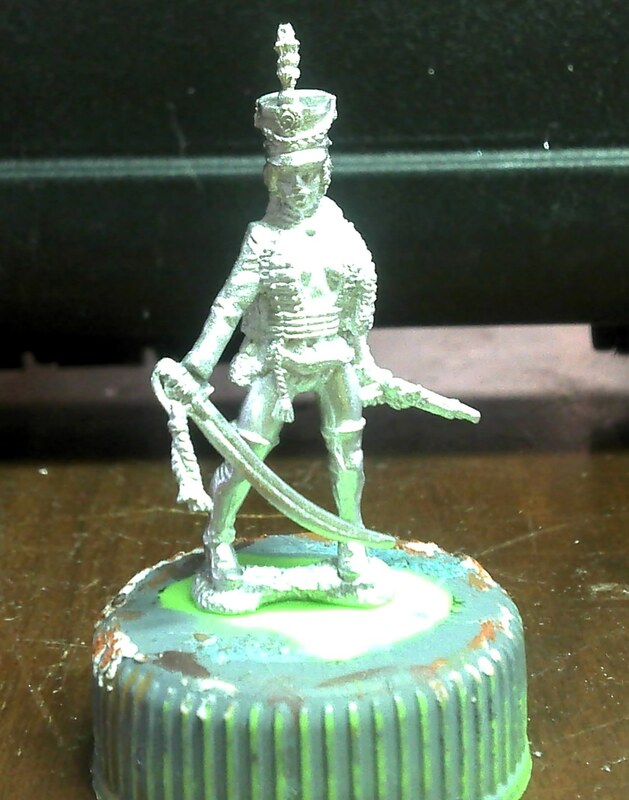 There are two rings on her sword belt that the straps need to at least touch. 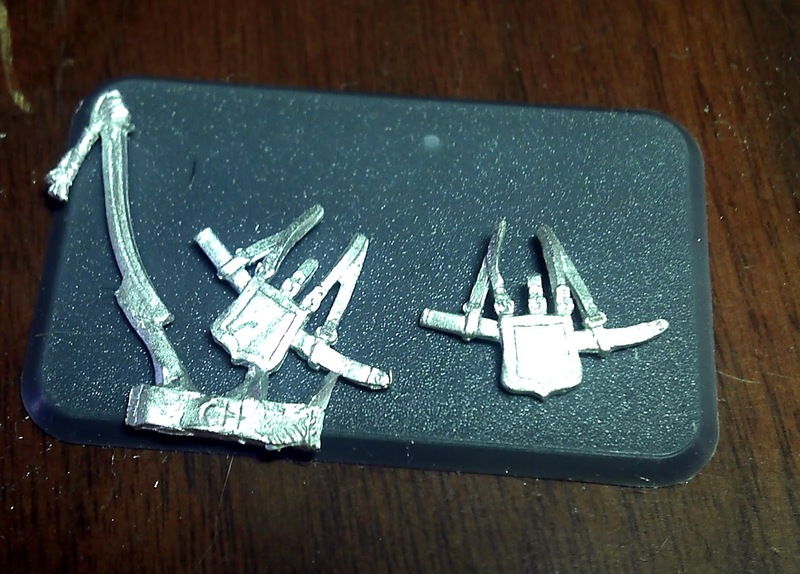 I did a little more filing to thin that portion of the strap so it doesn't create to much of a bump when I glue it on. 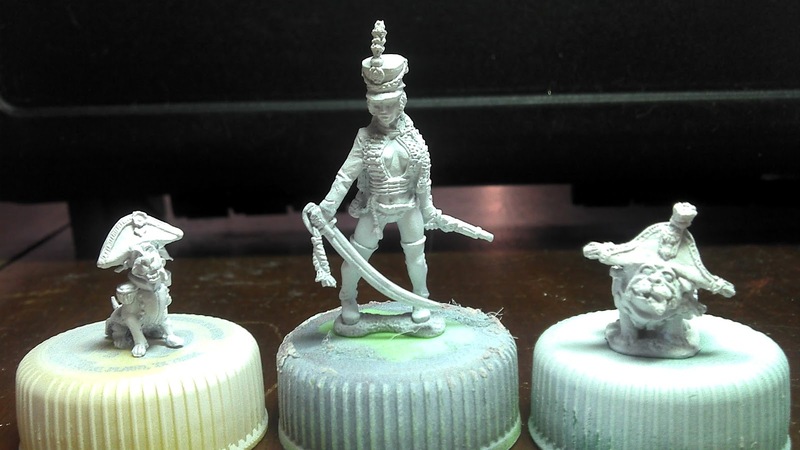 Lysette is sculpted to match up with the Perry Miniatures range of Napoleonics.